Leslie Richards, who has served as the acting PennDOT secretary since January, can quit toting around the “acting” part of her title. The state Senate unanimously voted Monday to confirm the nomination of the former Montgomery County commissioner as the head of the state transportation agency. That vote makes Richards, a Whitemarsh Democrat who grew up in Upper Southampton, the first woman to hold Pennsylvania’s top transportation job. Richards’ nomination was among the first four cabinet members put forward earlier this year by Democratic Gov. Tom Wolf and confirmed by the Republican-controlled state Senate. The other three include Adjutant General/Department of Military and Veterans Affairs Secretary James Joseph, Economic and Community Development Secretary Dennis Davin and General Services Secretary Curtis Topper. Richards, who will earn a yearly salary of $152,657, heads a department with a $7.2-billion-plus budget in state and federal funds and has about 12,000 employees. PennDOT oversees programs and policies affecting highways, bridges, public transportation, railroads, airports, ports and waterways in the state. It is directly responsible for 40,000 miles of highways and some 25,000 bridges. The agency also oversees more than 11.3 million vehicle registrations and 8.7 million driver licenses. 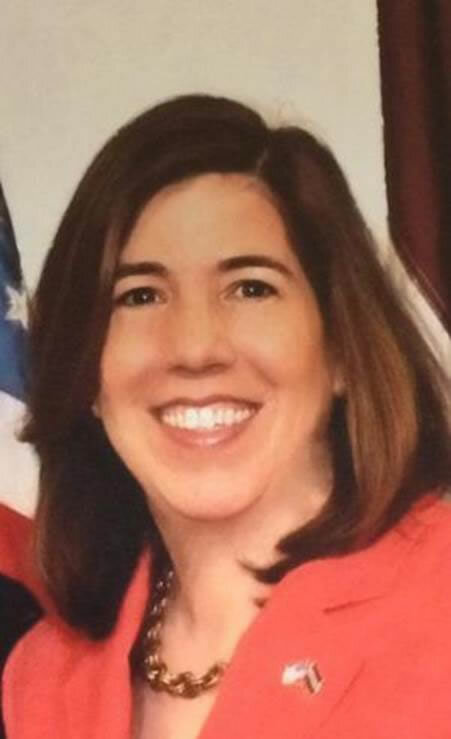 A former Whitemarsh supervisor, Richards was tapped by the governor at the beginning of her fourth year as a county commissioner.